The Whole Town’s Talking by Fannie Flagg is a 2016 Random House publication. 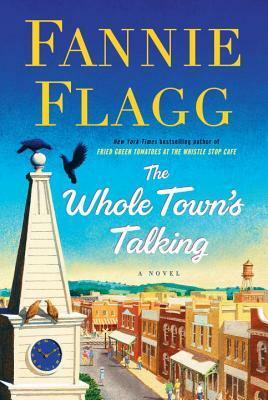 Fannie Flagg tells a whimsical and fantastical yarn centered around Elmwood, Missouri. The story begins with the town’s humble beginnings way back in 1889, and carries the reader all the way through its history, ending in 2021. Naturally, as time passes, some of the characters we come to care about, must pass on, and when they do, they are buried in the Still Meadows cemetery. It soon becomes apparent that Still Meadows has something going on the residents never begin to suspect. I had no idea what to expect from this story, but with Fannie Flagg at the wheel, I was comfortable trusting her guidance, so I just sat back and enjoyed the ride. The ordinary lives of people are often less ordinary than they appear on the surface and this book gives us a fine example of that. I loved following along as generations passed, watching children grow into adulthood, find their one true love, and go through the process all over again. Love, loss, disappointments, failures, successes, tragedy, and all the stuff that happens in between is pretty fascinating to observe from the sidelines. But, the living are not the only folks we hear from and this was the most poignant part of the story. I loved how many of life’s mysteries were resolved in a light hearted manner, that gives one hope, but also made me laugh quite a few times. While I must confess, I didn’t realize the story had a speculative or fantasy element to it, I thought it was a nice touch. I had a few minor issues, one of which is the super short chapters, which is a long time pet peeve of mine. I also felt as though the last half of the book took us through the decades at warp speed, while the first half allowed for greater character development. The only other issue I had was with the epilogue. I was conflicted by this last development, and would have preferred it to have different, perhaps more traditional spin. But, in keeping with the spirit of the novel as a whole, I managed to keep it in perspective. No matter how offbeat the story is, it is told with a sly sense of humor and with great warmth and feeling. Overall, I found it imaginative and quite enjoyable. 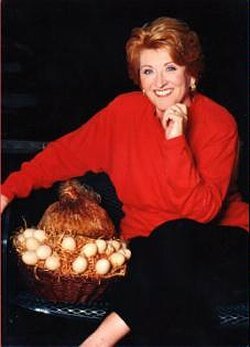 FANNIE FLAGG began writing and producing television specials at age nineteen and went on to distinguish herself as an actress and writer in television, films, and the theater. She is the author of the New York Times bestsellers Daisy Fay and the Miracle Man, Fried Green Tomatoes at the Whistle Stop Cafe (which was produced by Universal Pictures as Fried Green Tomatoes), Welcome to the World, Baby Girl!, and Standing in the Rainbow. Flagg's script for Fried Green Tomatoes was nominated for both the Academy and Writers Guild of America Awards and won the highly regarded Scripters Award. Flagg lives in California and in Alabama.